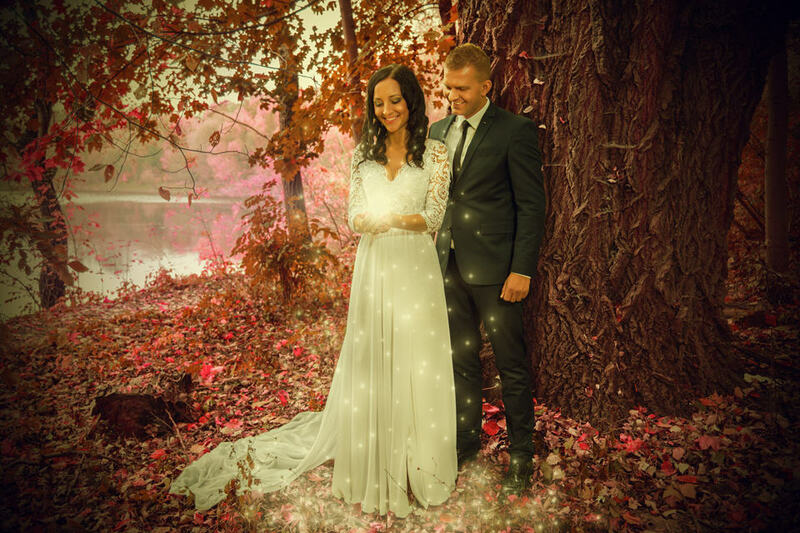 Beautiful and surrealistic photo manipulation of the wedding photo shoot in open air. Several hours of post-production work on this photograph. The final effect fully reflects the initial vision. Do you also want photos in a magic and surrealistic atmosphere? Write to us.